Have you ever had barbeque that was so smoky and “fall off of the bone” tender and juicy that you thought “There is no way I could make food this good!”? If you thought there was no way to get this delicious food at home cooking on your own grill, I am here to tell you that you CAN get the BEST grilled and smoked food in your OWN backyard with a Traeger wood pellet fired grill. Traeger grills have the benefit of being able to grill or smoke depending on the temperature that you set. Cook it low and slow all day for a smoked rack of ribs or fire it up on high to cook up some burgers and dogs or even bake some cookies or a cake!!!! These grills are so versatile and you can truly set the temperature that you want your food to cook at and walk away. The Pro models have two food probes to show you the exact temperature of your food as it cooks and are guaranteed to stay within 5 degrees of the temperature that you set them to cook at. 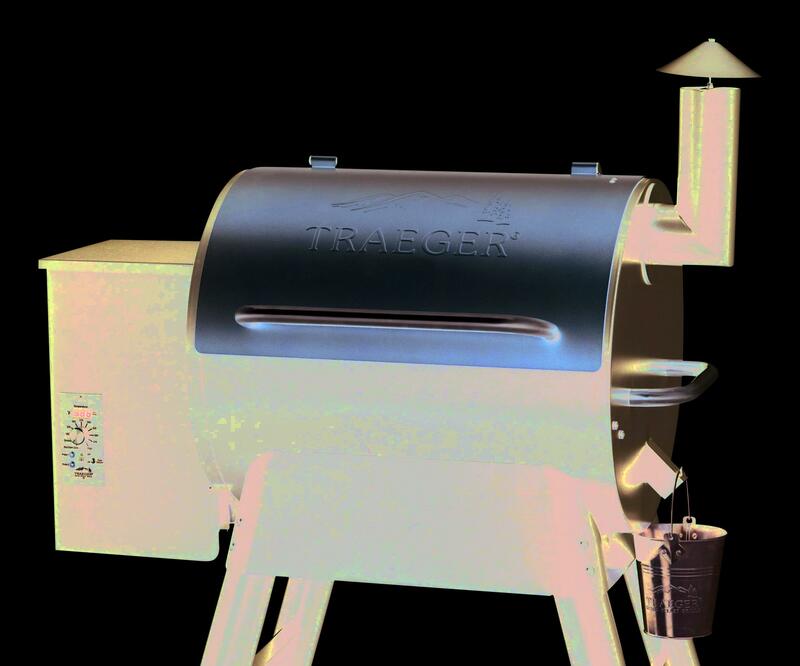 We carry two models of Traeger grills and can also order several more and have them within days! When you stop in to check out these grills make sure to ask Bob about the “Pig Candy” he has to make every weekend on his grill!! He has brought some in to share with us at the store and I can see why it is so requested!!! YUM!! Ask for Bob, Annette or Kelly and we can give you the lowdown on these AWESOME grills!! !